Who: Any business owner, non-profit leader, or marketer interested in learning new digital techniques for marketing your business during the holiday season. Join us for a Livestream Viewing Party! The Small Business Administration, Google, Facebook, Square, and Constant Contact have teamed up to help small businesses get online and grow with a free holiday, livestream workshop. Girl Geek Communications is hosting a viewing party for small businesses to get together and tune in. We’ll have some fun! Make it a gathering for with fellow marketers and small business owners. You’ll even get some cool Google goodies! Special thank you to Valley Federal Credit Union for allowing us to use their fine meeting space. Back Porch Deli is right next door to this event. It’s a great place to grab lunch after the livestream! 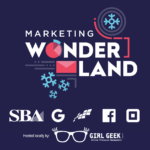 The Small Business Administration, Google, Facebook, Square, and Constant Contact have teamed up to help small businesses get online and grow with a free holiday, livestream workshop and Girl Geek Communications is hosting a viewing party for small businesses to get together and tune in. 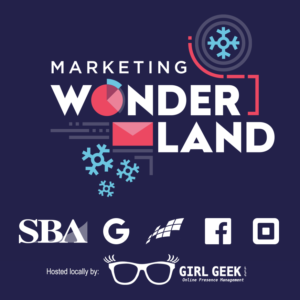 We’ll have some fun gathering with fellow marketers and small business owners and you’ll even get some cool Google goodies!